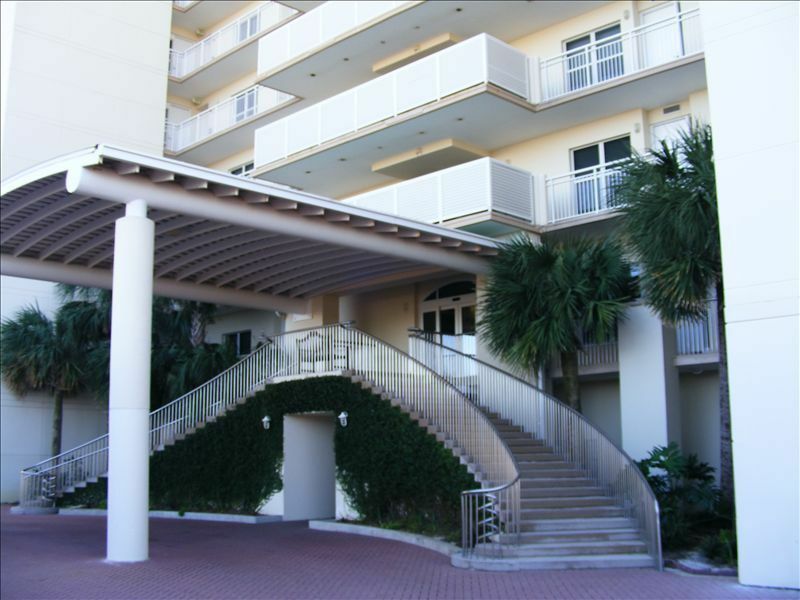 Largest 2 Bedroom Condo on the Beach! Best Beach View! 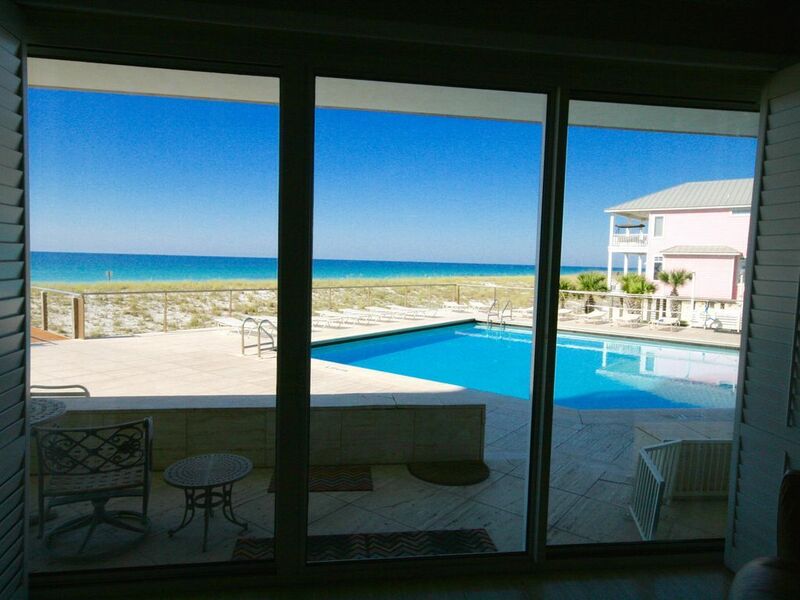 This Belle Mer Condo/Unit 102 is the only rental condo on Navarre Beach that offers a view of both the Gulf and pool from inside the unit and from the outside patio. 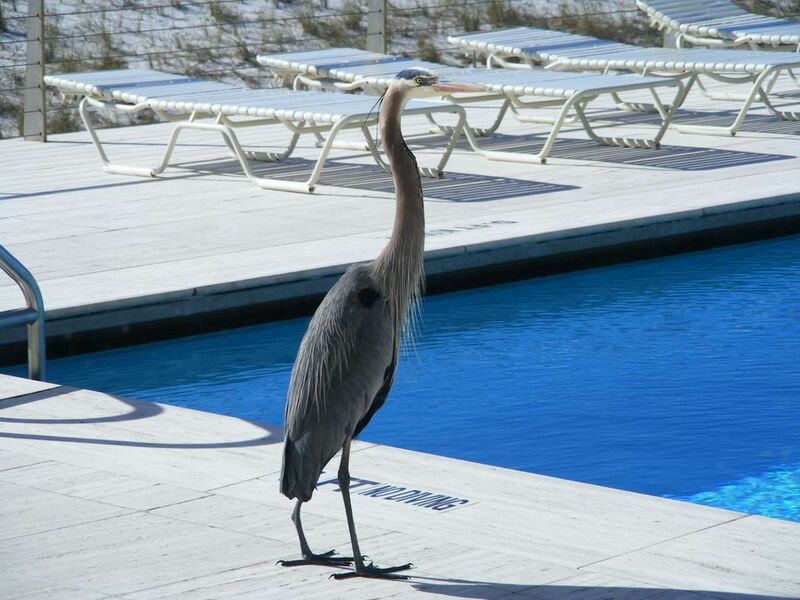 This is because the Belle Mer pool deck is 20 feet above sea level, which is about 5 feet above the 15 foot high beach sand dune that runs the entire length of Navarre Beach. 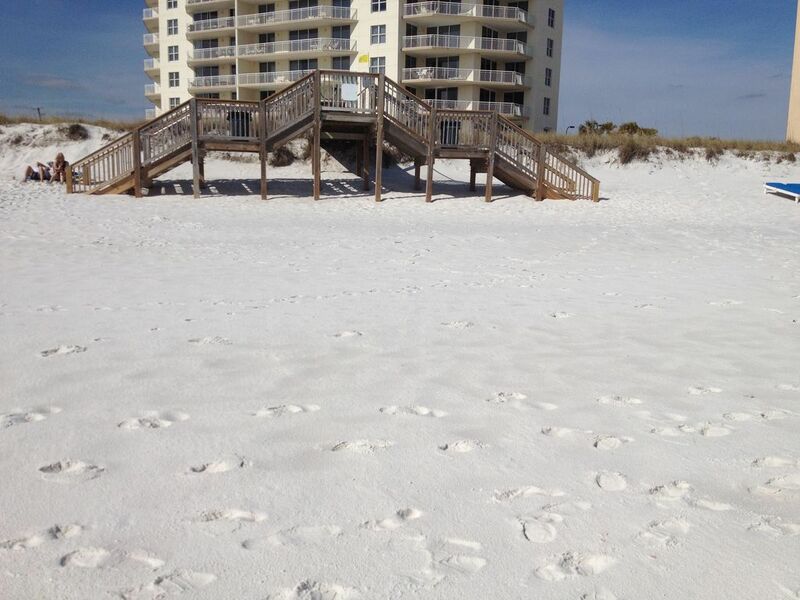 All other condo and beach house pools on the beach are at ground zero, which means that your view of the Gulf is blocked by the 15 foot high sand dune. 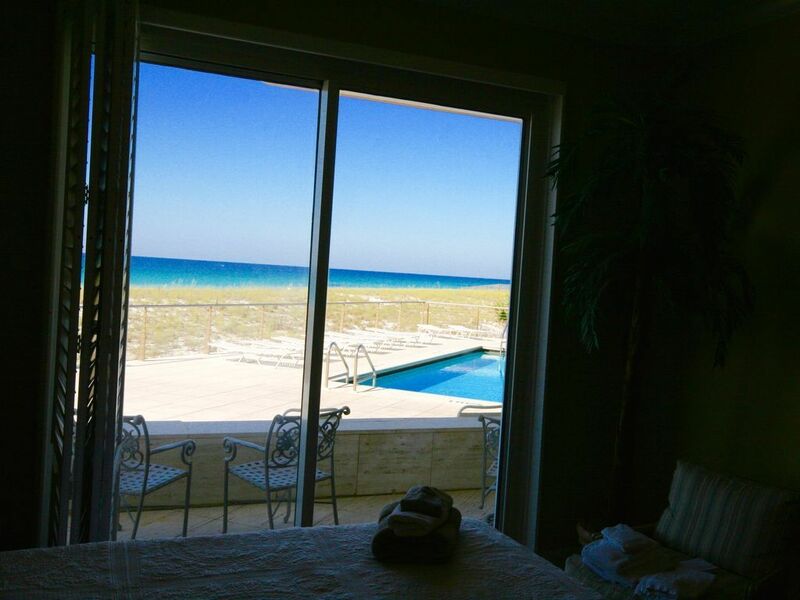 There is not another rental view like this anywhere on Navarre Beach. You can watch your kids swim in the pool from the privacy of the patio. 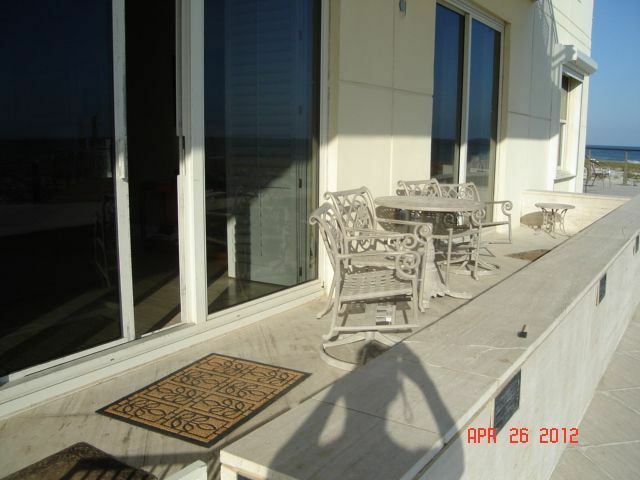 The patio is just a few small steps to the pool and hot tub, and only about 20 feet to the walkover to the beach. 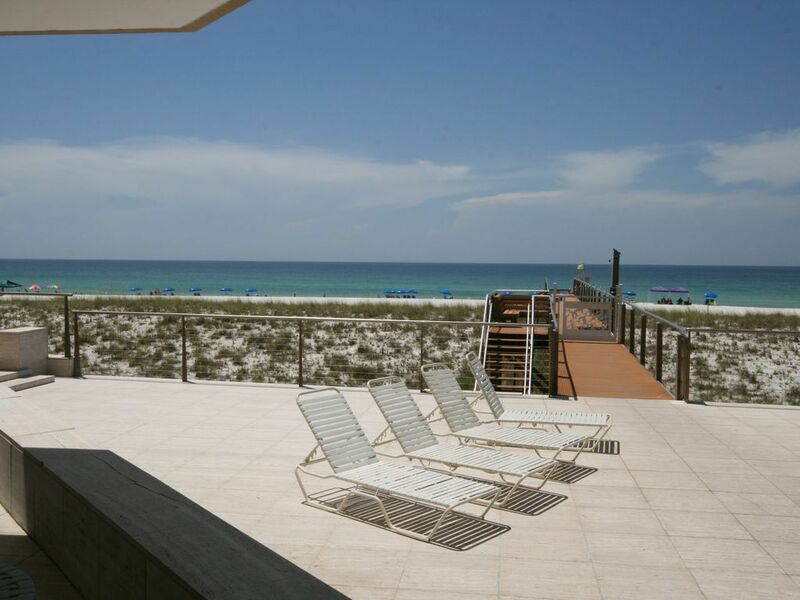 The unit offers a spectacular view of the pool and the Gulf from inside the unit. It doesn't get any better than this. 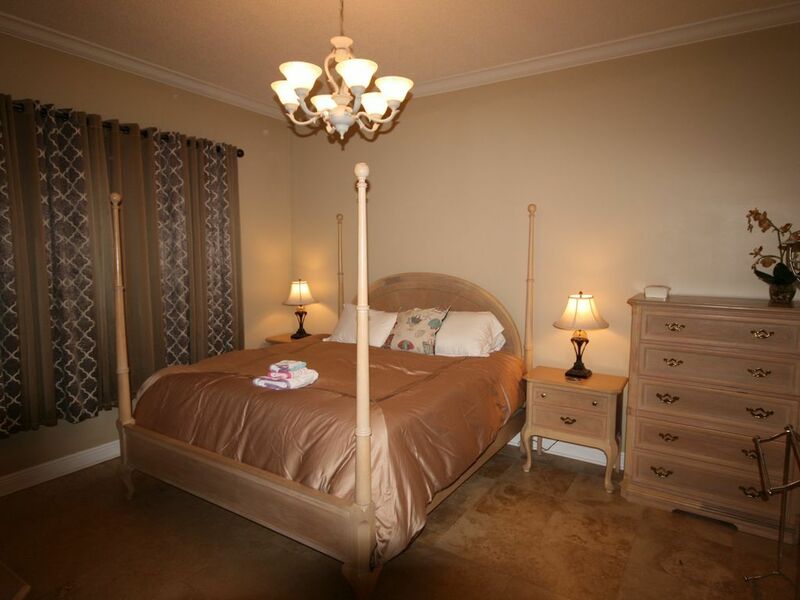 The Belle Mer is the most elegant condominium on Navarre Beach. 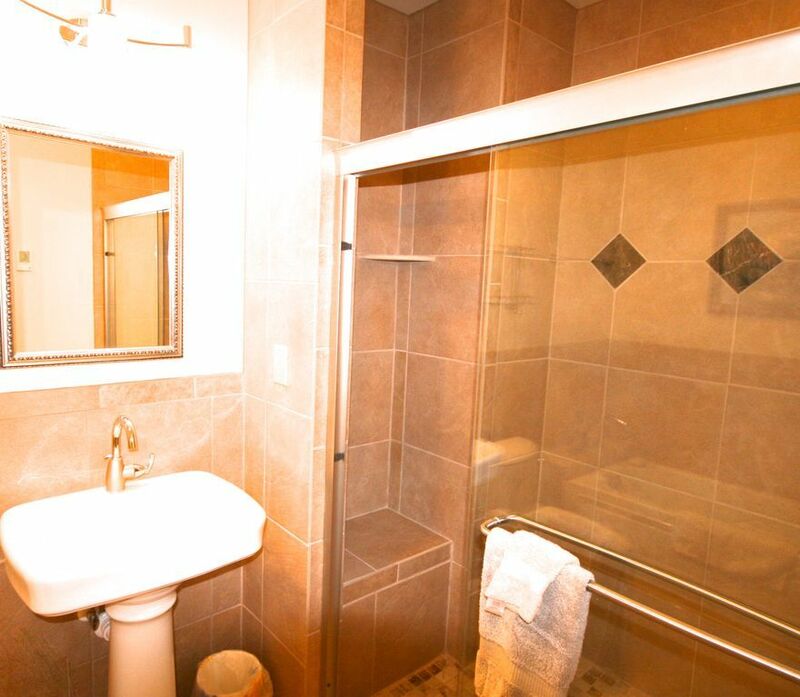 This gorgeous unit has almost 1,700 square feet of living space with Travertine tile floors throughout. 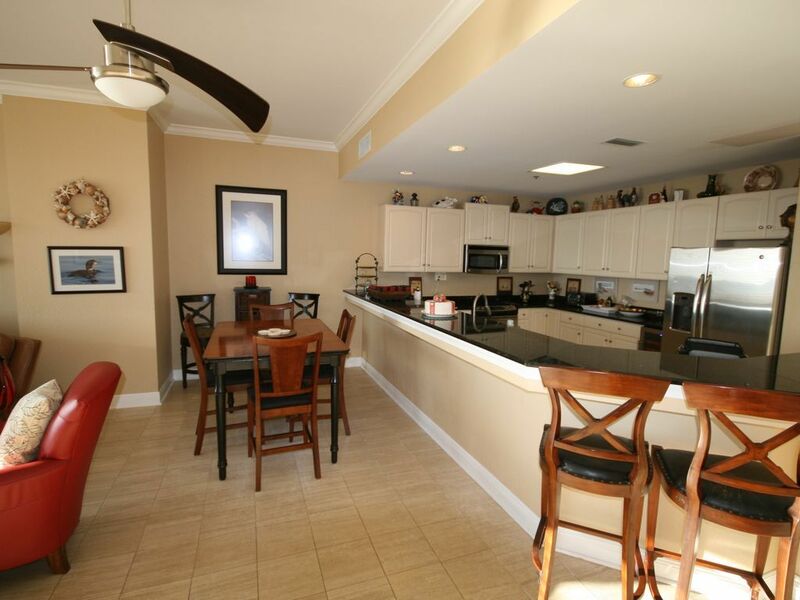 The well-equipped kitchen has granite countertops and stainless steel appliances. This unit also has a whole-house water filter system. 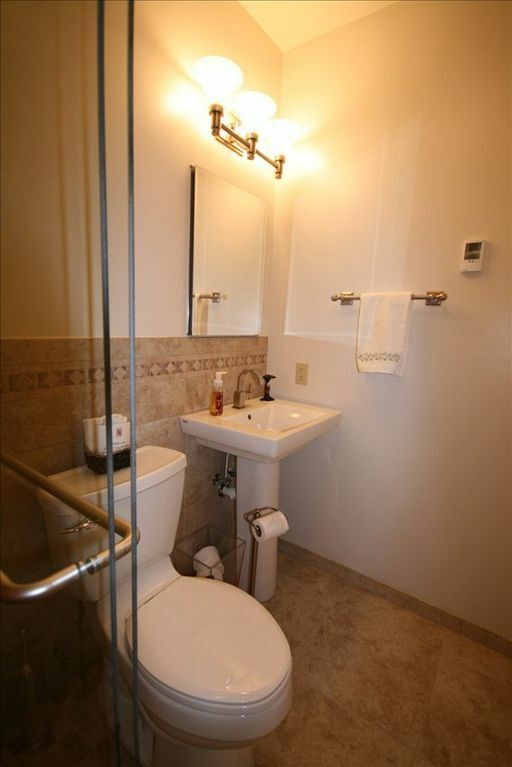 This is the only 2 bedroom unit in the building of approximately 60 units. 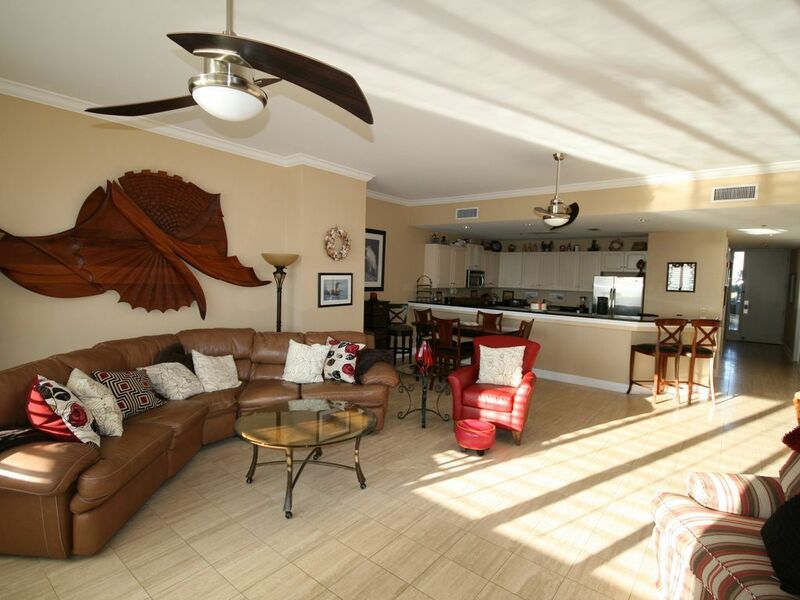 This exquisite unit is decorated and designed to accent the beach and ocean views. 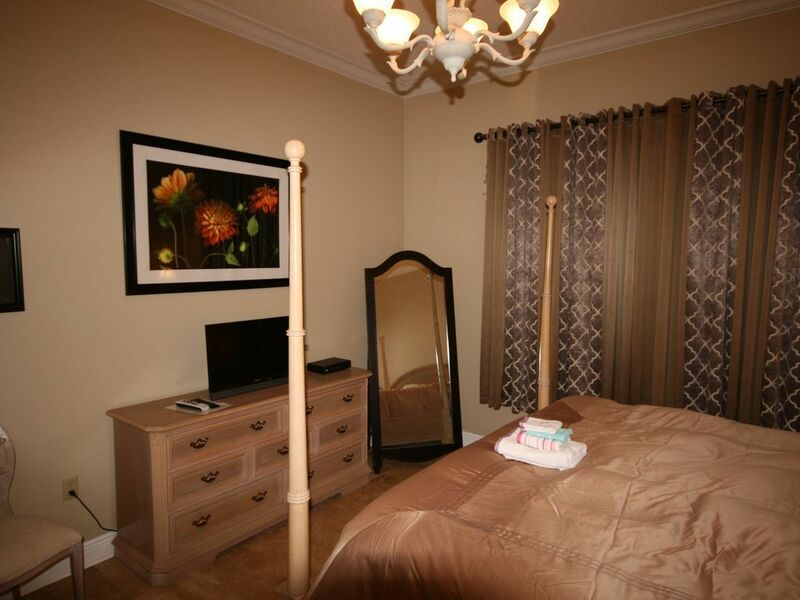 The unit is elegant but comfortable with 10 foot ceilings with crown molding and large sliding glass doors. The great room area has large framed prints by local award winning photographer Kenny Wilder. The spacious living area is great for entertaining 5 or 20 people. 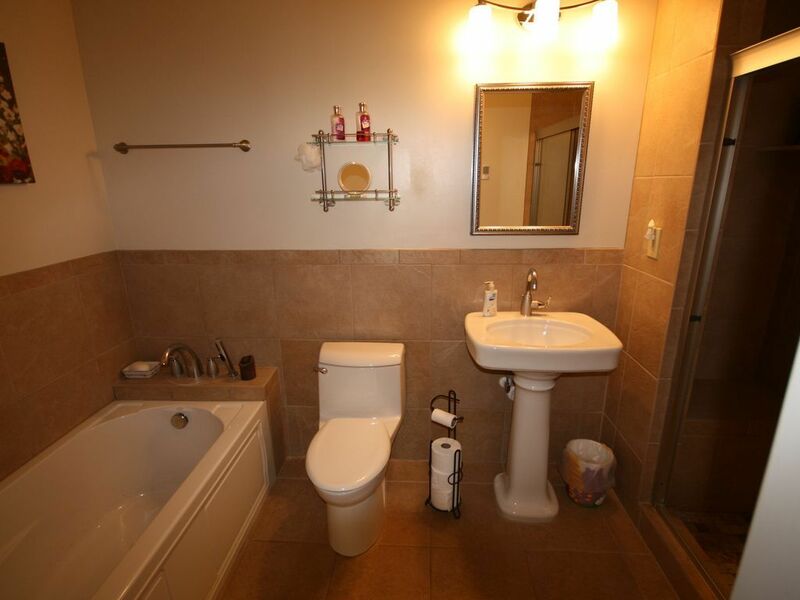 The master bath has a separate tub with 110 air jets and shower stall. Just outside the bathroom is a walk-in closet and dressing area with a vessel sink sitting on a beautiful granite countertop. 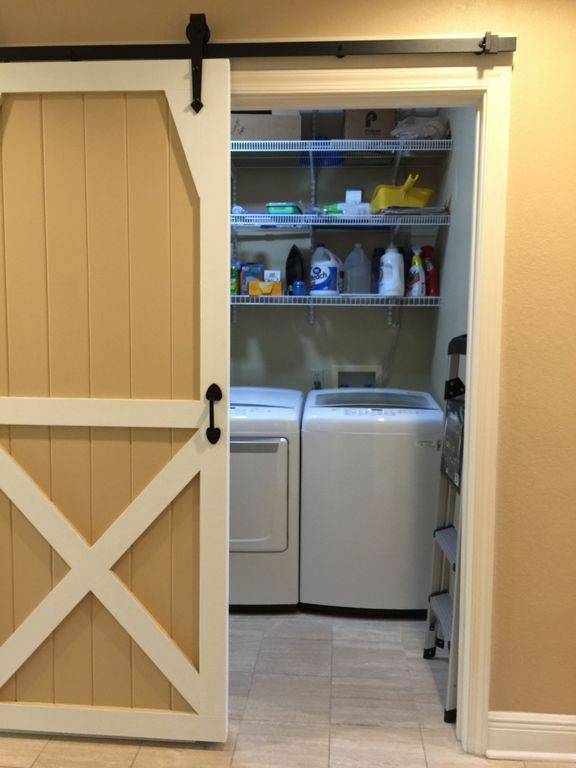 The washer and dryer are conveniently in a separate laundry room. Enjoy wireless high speed internet and you can sit out on the patio or pool deck with your laptop. 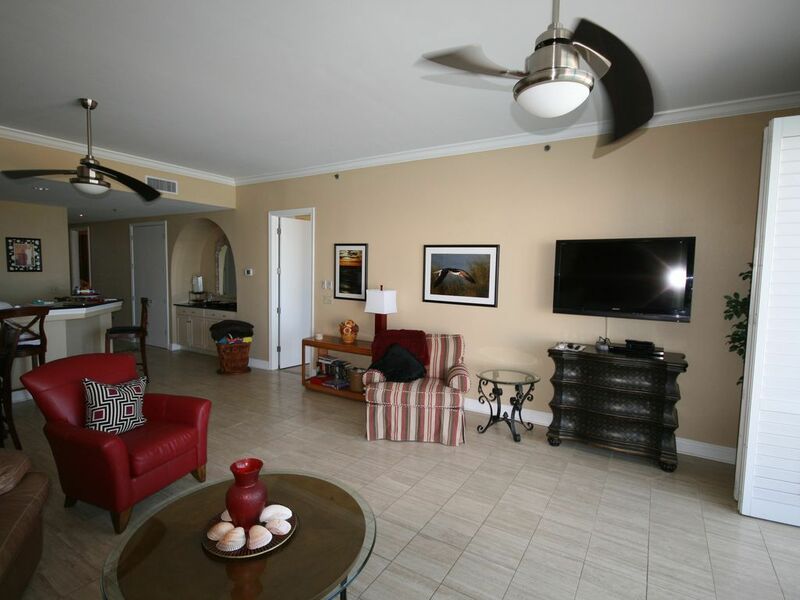 The Belle Mer complex offers the ambiance of an upscale beach resort. 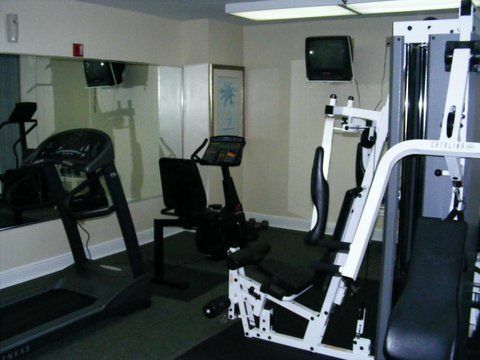 You are provided free access to the fitness center, meeting room, tennis courts and common area for outdoor commercial charcoal grills. Across the street from the Belle Mer is a 3.6 mile bike and walking trail. Just 2.6 miles from the Belle Mer is the entrance to the Gulf Islands National Seashore. The 7 mile road and bike and walking trail winds through the National Seashore Beach between Navarre Beach and Pensacola Beach. Our area is the Canoe Capital of Florida with its many bays and rivers that offers spectacular family fun. We loved the condo! It was very clean and had so many extras! Ms. Peggy was wonderful to work with and easily available! We are planning on staying there next year! My family and I had a fantastic vacation! This was our first trip to the Gulf and we were not disappointed. Belle Mer 102 was the perfect property! Peggy provided everything we needed to make this vacation perfect! The view was fantastic and I especially liked that we could step out the door and be right at the pool. We will definitely be going back!! Our first visit to Navarre Beach was an absolute success! We loved the quiet, uncrowded, family-oriented atmosphere. Our condo at Belle Mer #102 was top-notch. 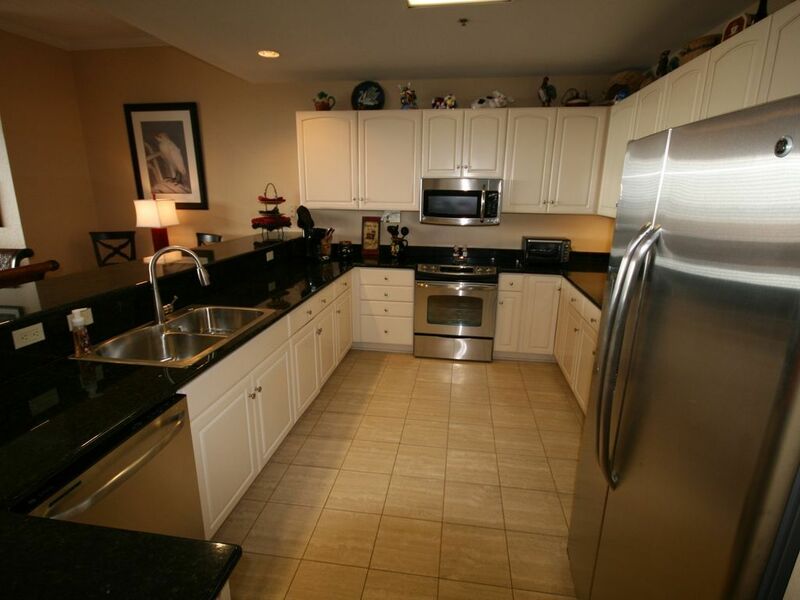 The condo was extremely clean and spotless upon arrival. It was very spacious with lots of added conveniences. 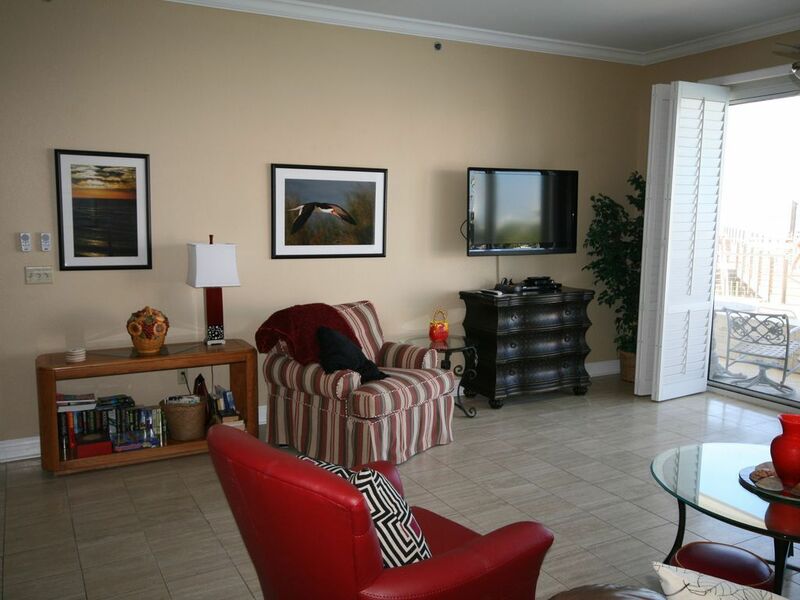 Located on the 1st floor directly at poolside made it so convenient to access beach, pool, parking lot, and complex facilities without having to haul stuff up and down elevators. The added bonus of already having the 6 chairs/umbrellas included made the week easy. The chair service was so professional and polite grouping our chairs with those of other family members staying in complex. The condo owner made personal contact with us through out the week making sure everything was in order during our stay. I usually don't take the time to leave reviews but our stay here certainly deserves the highest rating! Thank you Mrs. Peggy for our very comfortable and relaxing vacation! I don’t normally leave reviews, but I had to on this beautiful condo. The pictures don’t do it justice. It was very clean and spacious. Peggy thinks of everything to make your trip as relaxing as can be. We will for sure be back. 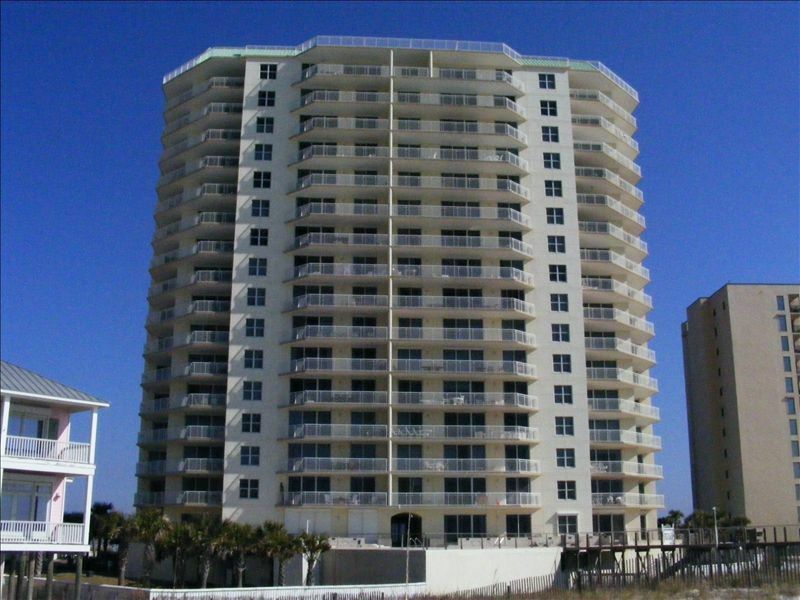 THE PINNACLE OF BEACH CONDOS!!!!! Very clean!! Spacious and convenience that is second to none! 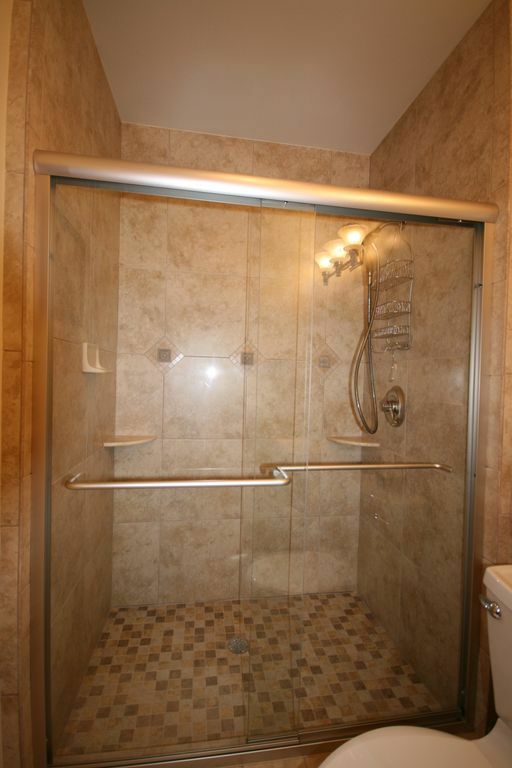 Owner already has the condo stocked with many amenities not often seen in others. 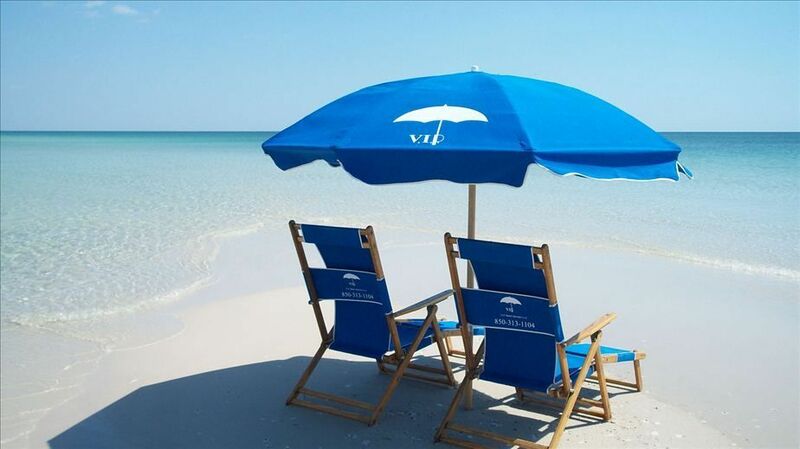 There are beach chairs and umbrellas set up on the beach early each morning of your stay. You don’t have to worry about getting up early to get a good spot. 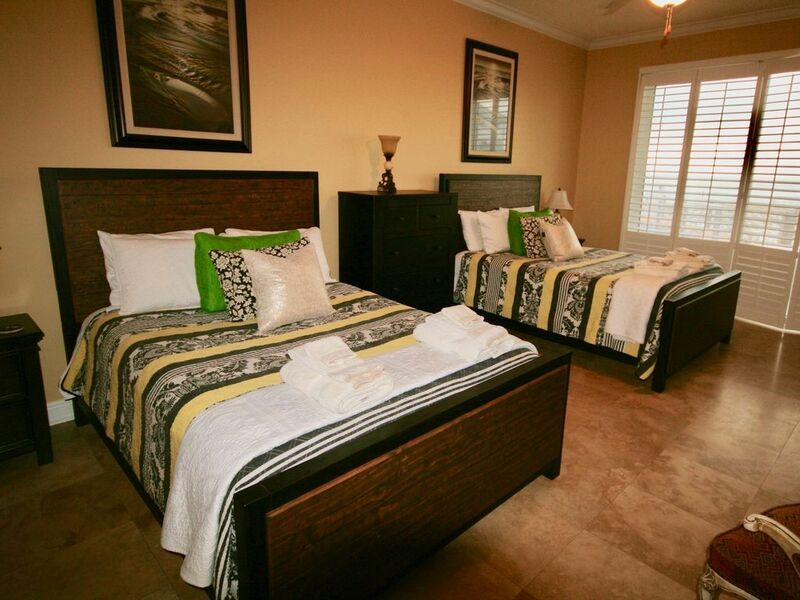 Your spot will be waiting on you and is a short walk directly in front of the condo. Owner is easy to contact and provides all sorts of extra information about the surrounding area including dining options and shopping. My family and I had the best and most relaxing vacation ever! We have young children and having easy access (right out the patio door) to the pool was a game changer. 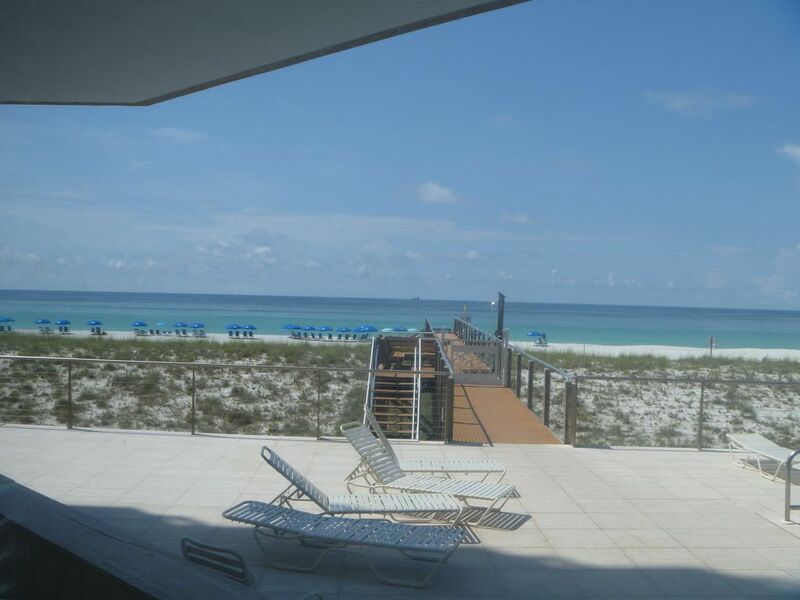 I’m not sure what else you could want in a beach condo.....this one has it all!!! Peggy's condo 102 at Belle Mer is FANTASTIC! Tom and I had a wonderful and relaxing month in Navarre Beach, Florida. Peggy thinks of everything, you not only have the necessities but you have everything you need so that you feel right at home. 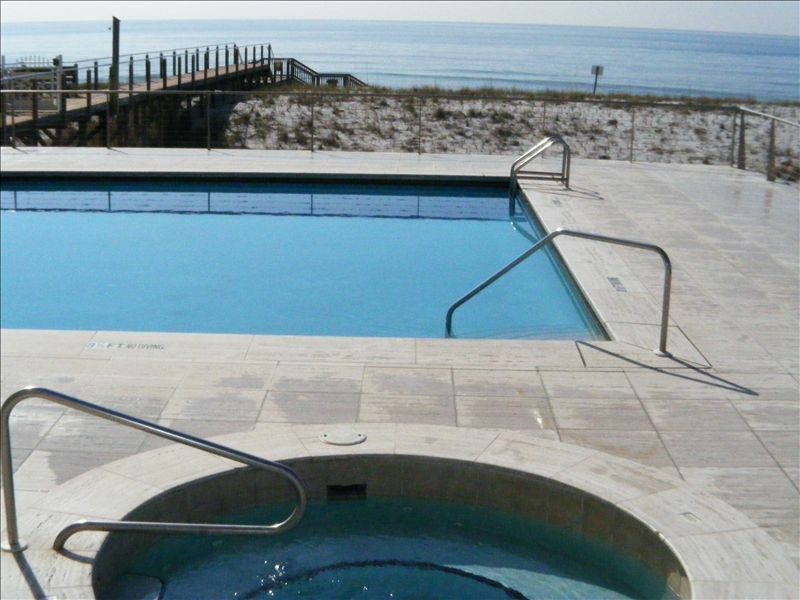 The condo is beautiful and so convenient to the pool, hot tub and ocean. We hope to make this an annual trip for us. Thanks to Peggy and to the staff at Belle Mer they were friendly and helpful. We were delighted with the condo. It had everything and I mean everything you could need from laundry detergent to shampoo. It was super clean, bright and inviting. We found so many shells everyday we had all available upper counter space covered by the end of the week. There is a great selection of books to read. There are plenty of things to do and see with in short drives. We had many wonderful meals at the various restaurants. Plenty of choice for any price range. Destin and Pensacola are easy drives with beautiful views. We had never been to Navarre Beach and hadn't been to Florida is years. We will be back next year. 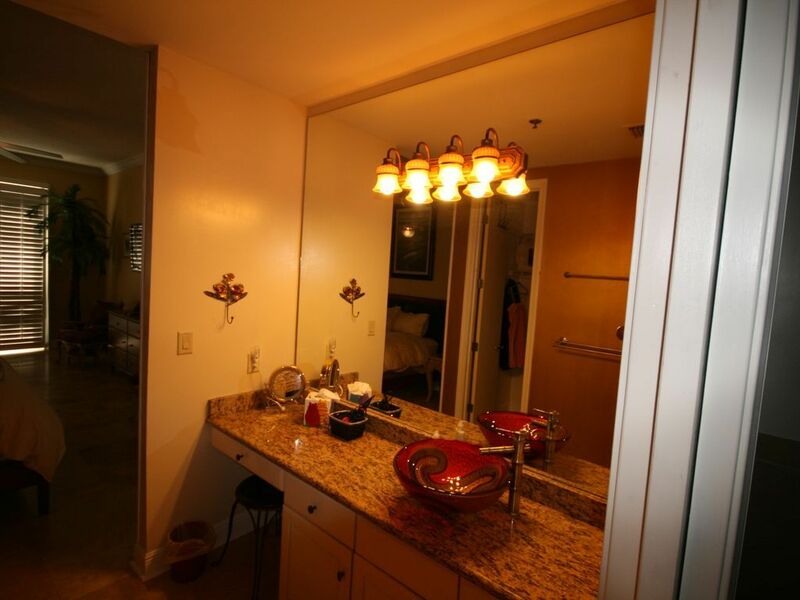 This condo is the best furnished we have seen and we have gone at least once per year and sometimes twice. Also you are rite on the pool and beach , running to the condo is so easy. Peggy has decorated and furnished this so well it feels like your home. We didn't want to leave . 5 stars plus!!!! This is our eighth year to spend our spring break in Navarre Beach. FIrst year to stay at Peggy's condo and it was the best stay we've ever had here. The amenities are awesome and the view was spectacular. Hope to be back again. Thanks for a wonderful stay. This is our fourth year staying at one of Peggy's condos, our second year staying at the Belle Mer (Her other condo at the Regency is awesome too). 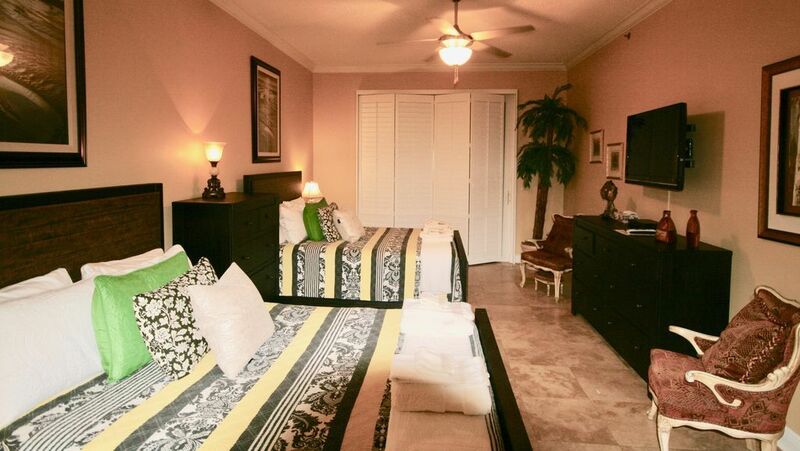 Peggy sure cares about your comfort and ensures that you have nothing to do but relax on your visit. Super easy to move in and out because it is so accessible from the parking lot. 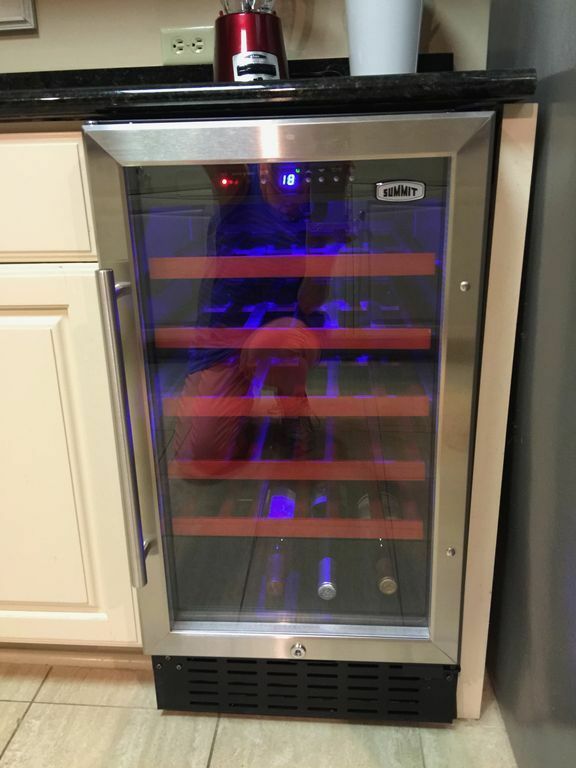 The condo has everything and more! Beach towels are provided as well as daily beach chairs and umbrella are included with the rental. The condo is very well taken care of and clean. 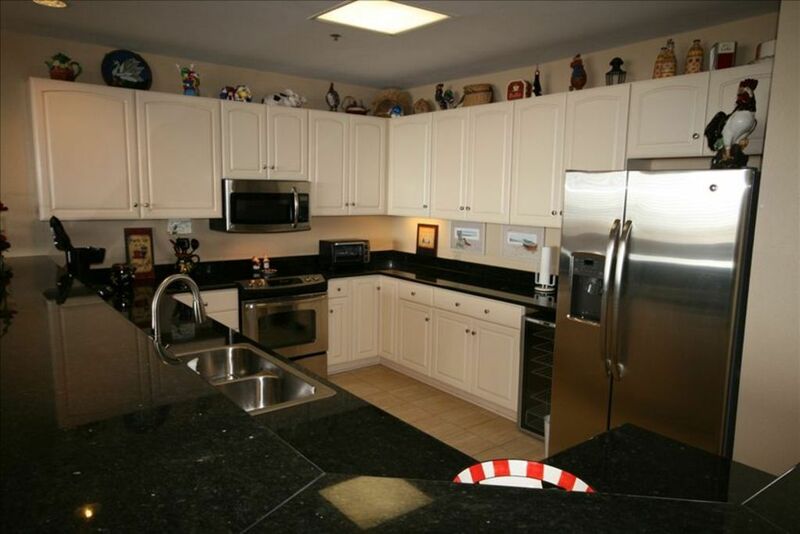 The kitchen is awesome, and the location of the condo is close to the community grill, which we used several times. 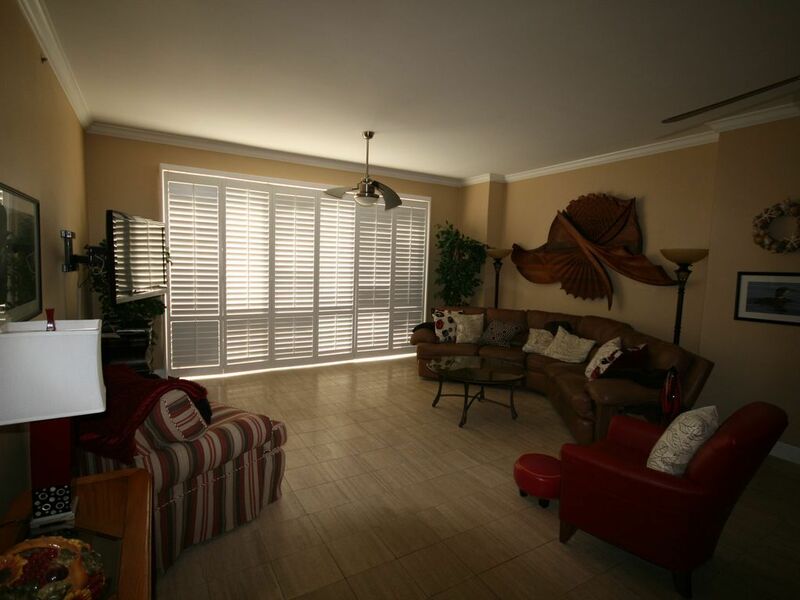 Huge slider doors open right to the pool deck, with the walk to the water's edge of the Gulf two minutes away at most. The view is forever imprinted in my brain. There is a walking/jogging/biking path next to the road just behind the Belle Mer so you can work off all that yummy vacation food, whether you are eating out at some great local restaurants, or cooking in! This year we finally visited the famous Joe Patti's fish market in Pensacola, a must for anyone who wishes to get some fine fresh fish of any variety. We also recommend Blackwater Canoe Rental, who provide the most leisurely and beautiful canoe trip down a tea-colored clear river with many white sandy beaches to stop along the way. We are so lucky to have found Peggy and Navarre beach. She is a great host and genuinely cares about you. We can't stand the thought of not coming back. We have already booked two weeks again for next year. Thank you again for sharing your beautiful condo with us!